As the northernmost emirate in the UAE, Ras al Khaimah has a fascinating history that’s displayed at this national museum. Housed in an 18th century fort, the Ras Al Khaimah National Museum was the home of the emirate’s ruling family until 1964, and was opened to the public as a national museum in 1987. Once inside the historic fort, enjoy a casual, self-guided tour of artifacts detailing the early history of peoples inhabiting the desert. You’ll also find ethnological displays, as well as documents and treaties from deals with Britain in the 19th century. The most prominent feature is the old tower, which rises above the two-story buildings and was once an important lookout point for guarding the royal family. Because the museum doesn’t offer guides, it’s good to visit the museum as part of a half-day tour of town, where the local guides who administer the tour can tell you about the artifacts. Favorites include the ancient weapons that were used to defend the fort, as well as equipment that divers used when diving for pearls offshore. 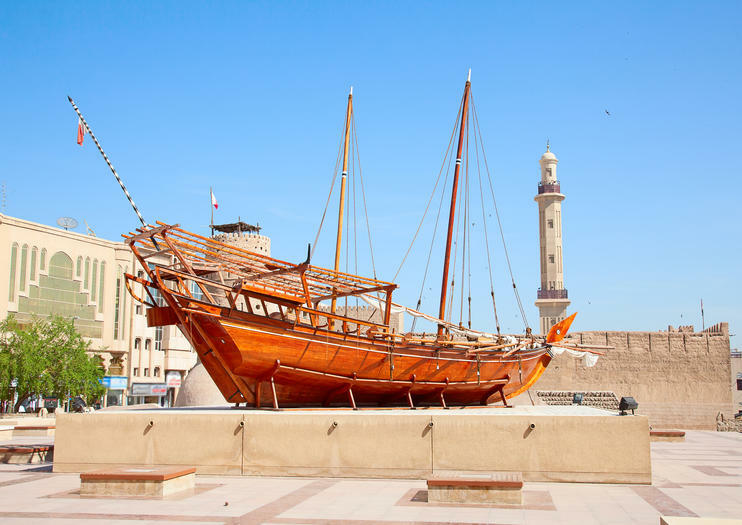 The museum is located in Old Town Ras al Khaimah. Did You Know? Though part of the museum is air conditioned, other areas are cooled by a wind tower that funnels breeze into the courtyard.